Ensuring the proper flow of your drains and pipes will save you a lot of hassle and headache. Any homeowner who has experience a backed up drain, or a leaking pipe can attest to the inconvenience of the matter, removing one of your fixtures from use and potentially leaving you with a giant mess to clean up. 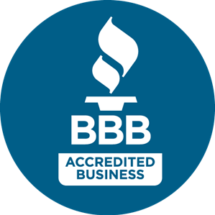 With the professional services brought to you by California Maryland’s Best Plumber you have a reliable source of solution at your fingertips. We bring you around the clock service to ensure that you have the access to professional assistance no matter the time of day you need it. When you plan to do more than just a fixture installation or replacement in your bathroom, and are looking for a professional plumbing company that can assist you with multiple aspects of your bathroom renovation, then you can be sure that California Maryland’s Best Plumber also has your needs covered there. Our professionals are experts in a wide range of bathroom plumbing and can bring you the most options when it comes to the work you’re looking to complete. Whether you need to run new pipes, install Jacuzzi parts or any other number of bathroom renovations, you can rely on our professional services. There is a number of issues that can plague your bathroom, from broken or leaking pipes to clogged drains and more, and when these problems arise knowing that the right professionals are just a phone call away can be a load off your mind. A Better Plumber brings you the services you need around the clock, to ensure that we can tackle your issues the moment they arise. When issues with your water come up, time can be of the essence to minimize the impact, and we bring you a fast response, and accurate services.